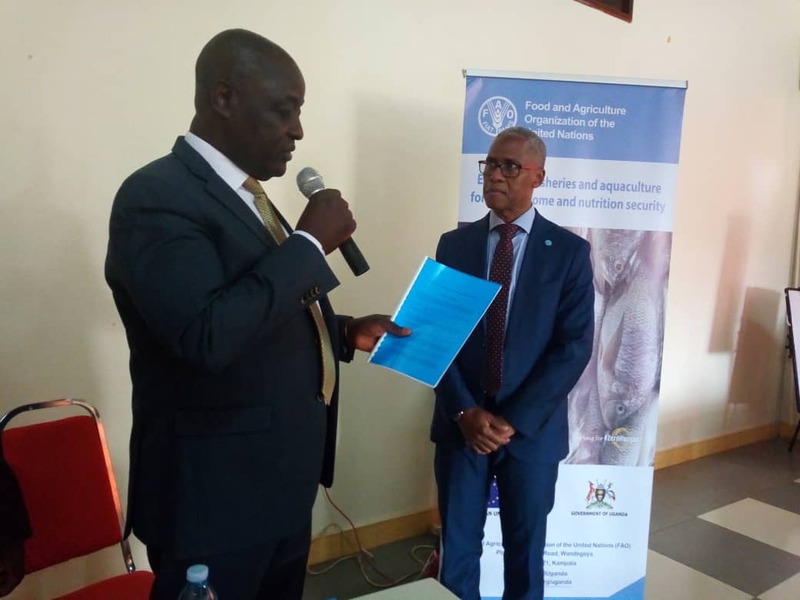 MASAKA – The, Animal Industry and Fisheries together with Food and agriculture organizations of the United Nations (FAO) on Wednesday unveiled a joint project to support fishing communities around Lake Victoria. The two-year pilot project launched in Masaka aims at improving the livelihoods of fishing communities, especially women and youths in three districts of Masaka, Kalungu, and Kalangala. Dr Antonio Querido, the FAO Representative in Uganda, says that the beneficiaries will be selected in close consultation of the line ministry and respective district local governments and that that the groups will undergo capacity building to enable them to implement livelihood options that promote sustainability of fisheries resource. The project launched will also provide training and inputs to help beneficiaries to manage economically viable and sustainable interventions in their interest, including but not limited to aquaculture and value addition options for capture fisheries. He says that this project is going to work as a demonstration and the practices will be extended to other fisheries communities in the country. The project comes on the heels of MAAIF’s recognition of the enormous challenges affecting fishing-dependent communities, especially women and youth. The latter groups have remained marginalized, poor and with limited sustainable sources of income, because of overfishing, the decline in fish stocks, illegal fishing, and poor fish handling facilities and increased post-harvest losses. Unfavorably high competition for fishing grounds, brought about by overcapitalization of fishing has also contributed to this dire situation. From that background, the government instituted management reforms aimed at boosting fish stocks. Key among the reforms introduced by the government include regulating the number of fishing vessels and gears, instituting restrictive license fees and intensified monitoring, control and surveillance of fisheries activities. These have however greatly limited access to fisheries resources and facilitated exclusion of some members of the community from fisheries. Vincent Ssempijja Bamulangaki the Minister of Agriculture, Animal Industry and Fisheries says that the project will greatly benefit the youths and women that were rendered jobless as a result of the ongoing enforcement operations to fight illegal fishing on Lake Victoria. He says that government has been for long mooting for sustainable fishing practices by practicing fish farming and fish cages. Sempijja says that the project will help much to increase on fish productivity and good quality fish which can fetch good prices at the international markets. Masaka District Chairperson Jude Mbabali welcomed the project but he pinned officials from the fisheries protection unit of soliciting money from fishermen. 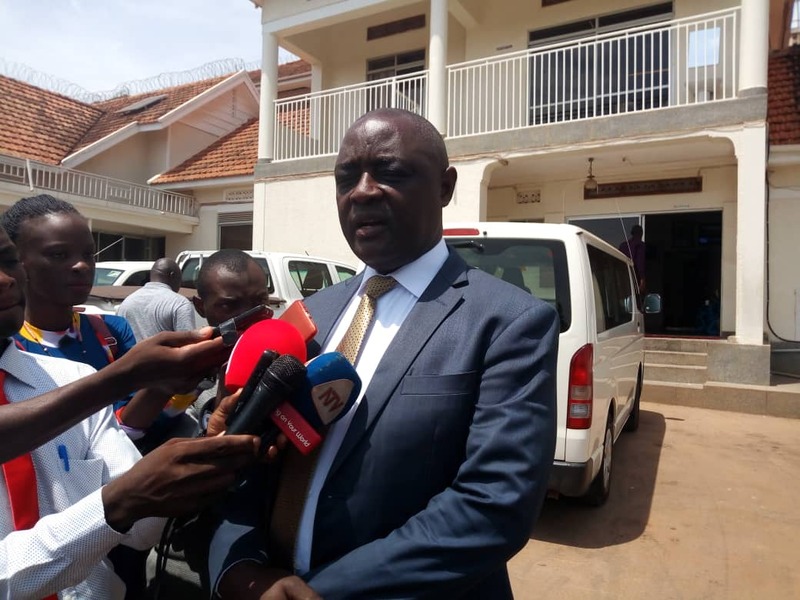 He, however, asked the government to consider reopening the closed landing sites were closed in Masaka since most of the people on these landing sites were left homeless. Kalangala district chairperson Wily Lugolobi tasked government to address the challenges of fluctuating prices of agricultural products. The fisheries sub-sector contributes about 12 and 3 percent to Uganda’s agricultural and national incomes respectively, demonstrating its huge potential to provide employment, income, and food security. Overall, the sub-sector contributes to the livelihood of nearly 5.3 million people while about one million people are engaged in capture fisheries and about half a million people are engaged in aquaculture. About 5,000 people are employed in fish industrial processing. Furthermore, fish forms an important part of diets, being a major source of critically required animal protein for about one million Ugandans.